Each time Southern California receives enough rain to begin to improve our nearly constant drought conditions, the great debate of whether or not the current drought is over begins. Even with our most recent drought experience, our governor declared that the drought was over, while other folks were saying, “Wait a minute…not so fast.” And, it should be noted, that even though the governor says the drought it over, he left plenty of water conservation regulations and standards going strong. This is, of course, a good thing – particularly because Southern Californians pretty much need to just accept the fact that our next drought is almost always waiting right around the corner and could happen any time. This means that even when we are pretty sure we are coming out of our current drought, we should be preparing for our next one. Rain and adequate snow pack are essential to relieving drought conditions, but folks who have lived here very long at all know that when that rain comes and the snow melts, areas that have been experiencing drought may experience flooding. This is particularly true in areas affected by wildfires. So, we know that heavy rains after dry summers and droughts can cause flooding on a larger scale, but what about how it affects soil on a smaller scale? For example, what can heavy rain do to your yard after months of drought conditions or, at least, a very dry summer? What happens on your property after a heavy rain depends on several factors, including the type and health of your soil, the topography of your property, how well your land is graded for proper drainage, and the landscaping and hardscaping you have in your yard. Most homeowners without significant slopes will not experience major flooding on their property, but they will likely experience runoff and erosion, and could experience minor flooding or standing water. Here are 12 ways you can prepare your soil for heavy rain after long-term drought conditions or a rather dry summer. 1. Clean Your Gutters: Months of dust and dead leaves may have accumulated in your gutter system over summer and fall, so be sure to clean your gutters before the first rains of the wet season arrive. This will help direct water and protect your landscaping. 2. Install a Rain Barrel: Rain barrels can serve two purposes here. First of all, they give the rain coming out of your gutters somewhere to go, which can help you avoid getting those annoying furrows that develop at gutter drainage points. Secondly, they allow you to harvest rainwater that falls on your roof for use during times of drought. 3. Install a Rain Sensor: Every irrigation system in Southern California should have a rain sensor. This is one of the easiest steps you can take to conserve water, and it also helps to ensure that your soil does not get even more water during or after rainfall. 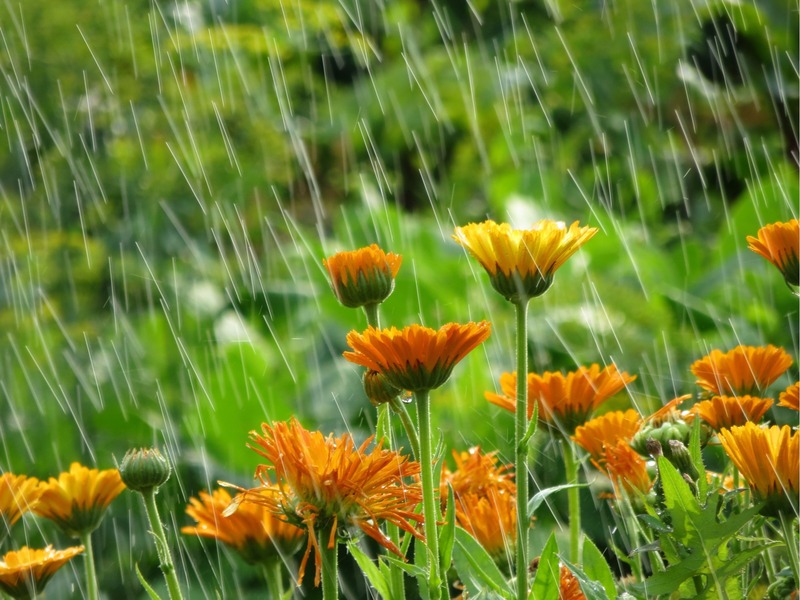 If you do not have a rain sensor, or if you know that it is going to rain significantly a few days ahead of time, turn off your irrigation system and allow your plants to enjoy some natural rainwater instead. 4. Check Your Yard’s Drainage: If you are aware of low spots, areas that regularly flood or places in your yard that have standing water every winter, now is your chance to bring in a contractor to check your grading and improve your yard’s drainage plan. 5. Improve Soil Drainage: The San Diego County area and many areas in Southern California have clay soil. Clay soil is not a bad thing and actually withstands times of drought better than some soils with less clay content. However, they drain slowly and compact easily – particularly after rain. They can also be so compacted and dry that they cannot absorb heavy rainfalls fast enough, which leads to erosion and runoff. For the health of your plants and to prevent excessive erosion and runoff, ensure that your soil is well draining. One way to do this is to install raised garden beds where you can more easily control soil content. Another option is mixing in compost, mulch or other amendments to enhance drainage. Also, try to keep your kids and pets from walking on clay soils after rain any more than necessary; this can help avoid soil compaction. 6. Add Mulch Around Plants: Add a thick layer of mulch around plants before it rains. This improves post-rain water retention and helps protect root systems. Erosion can expose roots, but adding mulch greatly reduces the risk of a heavy rain eroding dry soil. 7. 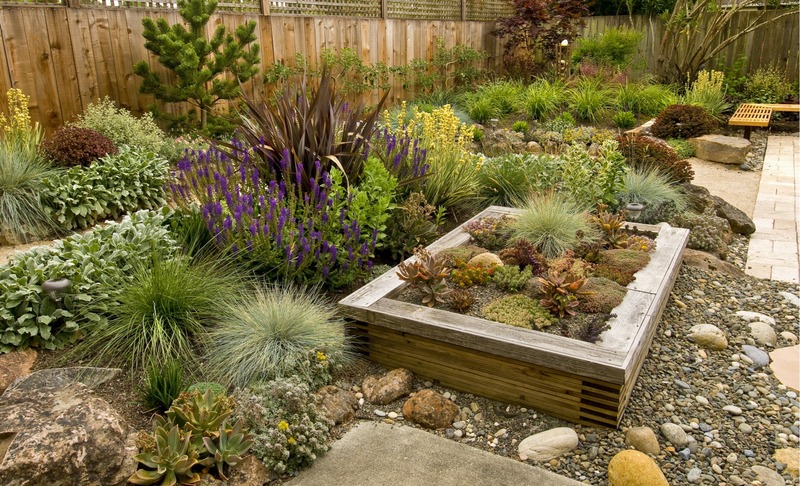 Increase Plant Diversity: Including a variety of plants in your landscaping leads to a better network of root systems that hold the soil together and help prevent erosion. 8. Cover Bare Dirt with Gravel: Gravel is a quick, inexpensive way to improve drainage. A good layer of gravel can take the pounding from the rain better than your soil and slows everything down so that your soil has more time to absorb rain as it falls. 9. 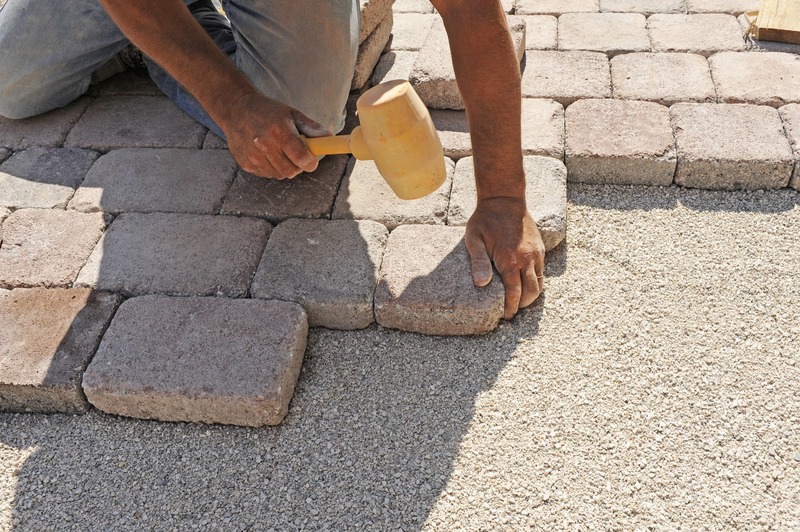 Install Permeable Pavers: Permeable pavers have the durability and beauty of other paving stone installations with the added benefit of filtering rainwater slowly downward into the soil to replenish groundwater while reducing erosion and runoff. 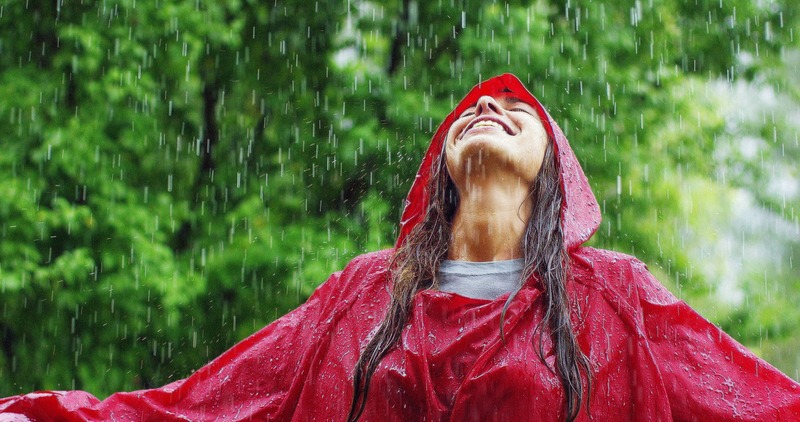 For example, if you have a concrete slab driveway, you have surely seen all of the rainwater moving directly to the lowest point and, most likely, draining into gutters that dump the water into the ocean. With permeable pavers, that water can go back into the ground instead of storm drains. 10. Plant Before the Rain: If the rain is coming during the fall and the weather is still warm, you can plant warmer weather food plants. If the rain is coming in the winter when the temperature has already dropped, opt for lettuces and other cooler weather crops. Either way, getting some seeds in the ground before it begins to rain allows you take advantage of the rainwater for irrigation and gives you the opportunity to work the soil so that it will be better ready to receive the rain. 11. Set Out Houseplants: If you have houseplants inside or a container garden on a covered patio or porch, move the plants outside to enjoy the natural rainwater. If you have areas of bare dirt, setting your plants in this area will help filter the water more slowly into the soil to avoid runoff and erosion. 12. Keep Conserving Water: The rain might be coming, but we should still maintain our water conservation efforts and prepare for the next drought, because we know it is coming. Use your rain barrel, water only on designated days, consider replacing your natural lawn with artificial grass, and fix leaks as soon as they are discovered. California Drought: What Do Relaxed Water Use Restrictions Mean for You? Do Southern California Homes Need Rain Gutters?